Happy Football Season. I don't know about you all, but my husband and his entire family is obsessed with football. We go to every home game for the Atlanta Falcons. I'm getting a bit more into the game but I still gotta throw in my personal beauty twist. Check out my game day makeup look! I had some new lashes to test out for this look. I'm rocking the mini Boudoir lashes from House of Lashes. This style is a smaller version of the original Boudoir, and is supposed to fit smaller eye shapes. You definitely don't need to trim the lash as much which is nice. I paired it with a very subtle smokey eye...I kept the color low so it was more about a smokey liner look that was more appropriate for a daytime game. Finally, the lips are in honor of the Falcons signature color - Red. I went for a brighter red using City Color Be Matte lipstick in Fire. 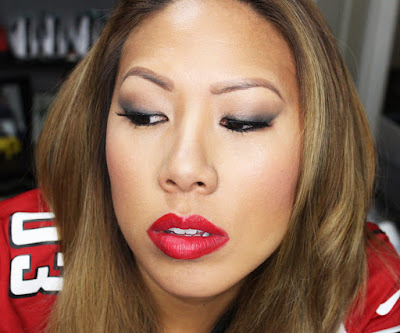 I lined with MAC Cherry lip pencil to keep the color bright and precise. 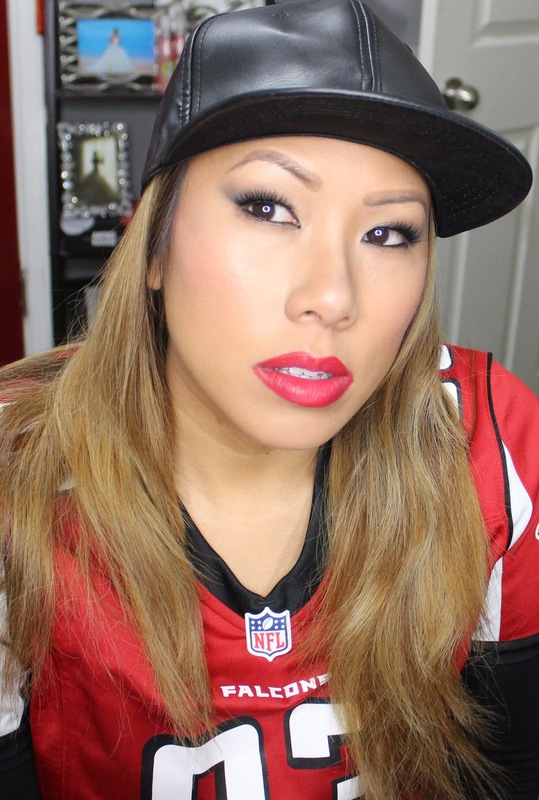 So it ended up being rainy and cold that day...I threw on this cute, faux leather cap for under $10 from Amazon and paired it with my custom Falcons jersey. I was ready to go! 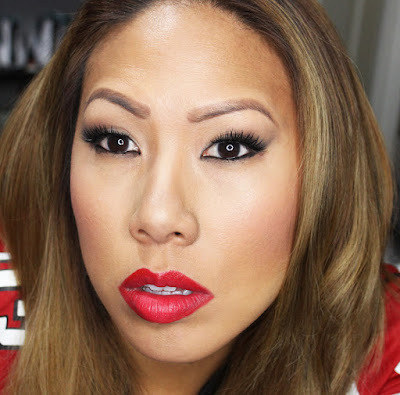 Do you all end up wearing makeup to special sporting occasions or do you think that's too over the top? Let me know in the comments below.